If you are an acne sufferer, below you will see what category your skin fits into. Antibiotics just don’t work for some people. 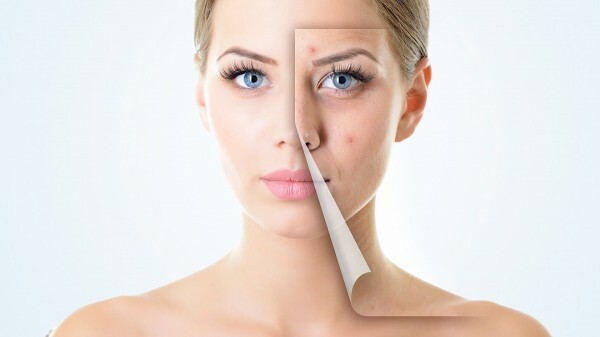 You can use toothpaste or nappy cream to spot-treat acne. Really! A one-off spot may have its redness taken down – temporarily – by applying one of the above. If acne could be fixed by Oral-B or Sudocrem all of our problems would be solved. Avoid mineral oils when cleansing. Natural oils are better for the skin. Avoid too much alcohol in products. A ‘tingle’ is ok. A ‘burning’ is not. Products where the main ingredient listed is alcohol will dry out the surface of your skin, destroy the acid mantle and make the perfect breeding ground. However: alcohol is sometimes a necessary evil for suspending things like glycolic acid in a solution – where they would normally not work as well. Remember the glycolic benefits override the alcohol. Avoid soaps and foaming washes. These break down the acid mantle of your skin (think: armour) and make your skin a 10 on the 1-10 acid/alkaline scale. Don’t pick red cysts. A whitehead can be popped in the correct manner. A cyst is going nowhere and will always, always prevail if you battle it. And then it will scar. Cleanse with good quality oils and balm cleansers. There is absolutely no reason to avoid oil when you have acne. Avoid moisturisers with shea butter. Yes its natural but its harder than most oils for the skin to break down and thus tends to clogs pores and give you nice whiteheads. For additional questions contact the Skin Kandy Team!